Couldn't agree more homer. 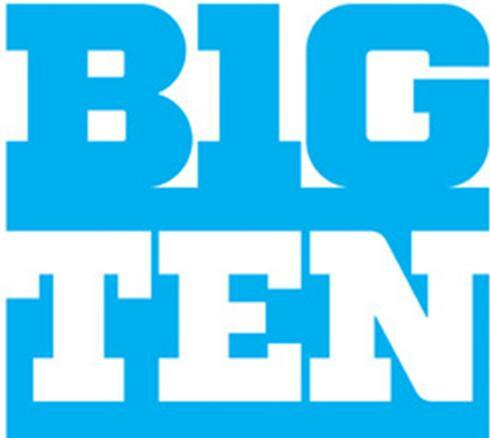 The Big Ten has 4 marquee football programs (OSU, Michigan, Penn St and Nebraska) and two other very good ones (Iowa and Wisconsin). Is it really that big of a shock that they split those teams up? Homer that wasn't directed at you. Valpo called Iowa mediocre. Nebraska too. He actually made some very strong comments about how bad he thought they other division was, implying that three teams in the one division will always be better than everyone in the other division. I was just trying to argue that, right now, I personally think that both Iowa and Nebraska are better than Penn St. It may not last, but I think it was a little harsh. Penn St may very well go through a low period once JoePa finally retires. Also, Michigan's offense looked very good against a pretty decent UConn team. Their defense is still young and, well, bad, but you can see how well a RichRod team can perform once they have the right players. I think the divisions are fine. I just couldn't picture the possibility of Michigan and Ohio St never being able to play for the conference championship, though I don't like the idea of them playing two games in a row. I think they should have done what Florida St and Miami do, which is play early on. Last edited by paul253 on September 07, 2010, 11:21 AM, edited 1 time in total. I'm really looking forward to the 2011 Big Ten season. I have to be honest, I'm getting a little sick of all the talk about the SEC. LSU is the luckiest undefeated team in the country, and they are only undefeated because of how incompetent Tennessee is. Florida's offense is horrible. The best teams Auburn has played have both lost twice already. Arkansas and South Carolina are both overrated as well. I'm not saying the Big Ten is better, but I get sick of this whole theory that there is the SEC, then there is everyone else. The Big Ten I believe has a winning record vs the SEC over the last 5 years despite the vast majority of the games being played in the south (bowl games). I hope Nebraska can stay competitive, because I honestly think Michigan is on the way up, as is Penn St (true freshmen quarterback). Ohio St is not going anywhere, and Iowa and Wisconsin have been solid for a number of years, and even Michigan St seems to be alright. I think the Big Ten can definitely compete head to head with the SEC, especially next season when Alabama likely takes a step back losing their quarterback and probably top WR from an already average offense. The Big Ten has a chance in the upcoming years with some key non-conference games (Alabama-Penn St in 2011 and Michigan vs Alabama in 2012) plus the two or three bowl games they play against each other every season. They need to win these games. So the intent was to break up the best rivalries? I also don't get the new logo. It's as if they want to loudly proclaim their inability to count. Will you have this left guard to be the 224th pick? Yeah, the I in Big looks like a 1 but I'm looking all over the logo to see if I can find a 2 and I can't. "Leaders and Legends" sounds like a horrible PR slogan for the conference as a whole. I was listening to the Scott Van Pelt show this afternoon and they said something to the effect of it being the perfect example of the conference's pomposity and generally just being out of touch with reality. I thought that summed it up nicely. If you're going to name one division "Legends," how are you going to include Northwestern and Minnesota? And leave Ohio State and Joe Paterno (WHOSE NAME IS ON THE FREAKING CHAMPIONSHIP TROPHY) out of it? I do like the idea of attaching names to the conference championship trophy, but having them all hyphenated is a bit much. It's like they were afraid to offend anyone by just going with one name for each. Would anyone really be upset of the conference championship trophy was just the Stagg Trophy or the Paterno Trophy? Or the game's MVP the Grange Trophy or Griffin Trophy? That is one UGLY logo. Can't decide which is worse, the logo or division names. After deciding on adding Nebraska. The Big 10 did EVERYTHING wrong. divisions, division names, schedule, logo. Hopefully they change the divisions and all of this in the future. What a joke. Eh, two years from now it will all feel normal. Legends and Leader's will still be lame. East, OSU, PSU, Mich, Mich St, Purdue Indiana. Its unfair to OSU that they have to play Michigan each year while UW plays Minnesota. Granted Minnesota could and should become better. But the same for Michigan as well. Wisconsin, Nebraska, Iowa is as good as OSU, PSU, Mich.(and it is probably better right now) And Minnesota has the potential to be a Mich St in the future. This also allows the "Mich-OSU" rivalry to remain intact. (right now it could be ruined by playing in consecutive weeks). Actually when you think about it though, Wisconsin probably wins in the new alignment. I'd rather have Minnesota protected each year than have to play somebody else with that game. And we usually own Purdue and Indiana. At the very least the Big Ten should've come up with two colors for the logo and then used those colors as the division names. It still wouldn't be ideal, but it's much better than this crap. Absolutely awful. I don't mind the trophy names, but agree the hyphens aren't ideal. The division names are horrific, I hope some sense comes to Deleaney and they change that before long. I don't really mind the logo but the division names are uber stupid. Completely agree with both of these suggestions. Moreover, since the B10's logo colors have been blue and white for the past decade, "Blue" and "White" would have made entirely too much sense. Leaders & Legends just sounds pretentious. There is no 2, the G is made to look like a 0. Apparently they are rethinking the division names based on all the negative publicity. Thank god. How about this: The White Division and the Blue Division? I'd prefer they just call them what they do now... offensive player of the year, coach of the year, etc. I didn't realize this forum existed or I would have been registering my disapproval within minutes of the announcements of the division names and logo. Both are horrendous and need to be redone ASAP. The logo especially is shameful, but on the other hand, the division names are especially egregious. I guess that they are both equally reprehensible in their own way. The logo they chose could have been done by anybody with photoshop in 5 minutes, and 99% of people would have picked a better color. Looking at it makes me want to have been born in a different state. The names are nonsensical and asinine, in addition to being totally non-descriptive. Now seeing the second logo, you can see why there's a "1" instead of an "I" and the G is round in the main logo. I don't love the logo, but I don't think it's any better/worse than the old one, really.